You were expecting another post on Investment. Well, it's really another post on investment -- social investment. I've had colleagues that we worked in the same department but I have no idea what they look like, and if by chance we are at the same restaurant we will definitely be sitting tables apart. And if one of them somehow figures out who I am, I will need his email id to figure out who he is. And that's what the corporate world is turning into. And it's like that for 4 out of every 5 people I work with. For some I don't even know their full name and email id, I only know their phone number and voice. 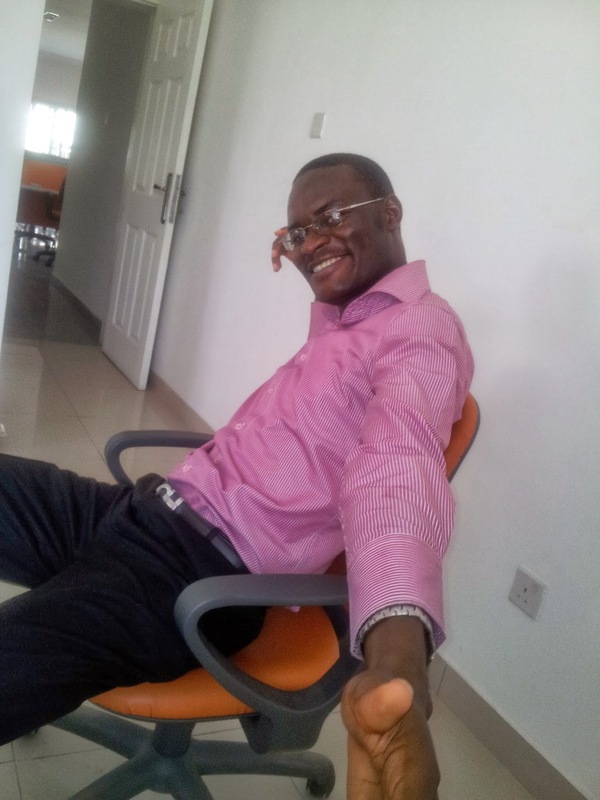 In my previous job, 90% of my colleagues where scattered around the globe -- India, Sierra Leone, Kenya, Ghana, Burkina Faso, Gabon, Niger, Chad, DR Congo and Congo Brazzaville. And we were very close. For once, I experienced the full power of email. All our communications were via emails, skype and phone calls. But I used email most. I emailed my colleagues, my boss, my boss's boss, and his boss, recalled emails, got lost in emails, and watched email fights (sometimes, I could feel the e-punches). Nowadays, emails are the new sms. And how you use it can make all the difference in your career. We apply for jobs via email. We report to a boss 3 continents away via email. We request for pay raise via email. We request for leave via email. We send RFO, RFI and RFP's via email. We request for recommendations via email. And we "give it to someone" via email. 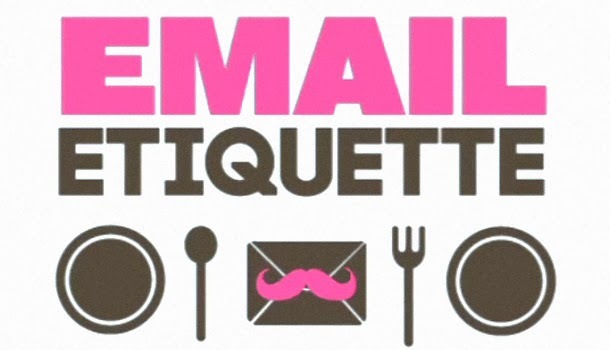 So, I thought it would be cool to share with you valuable email dos and don'ts. Whether you're sending it via your work mail or gmail, nothing is confidential. Even if you mark it as private. The mail server IT guy in your company can read your mails, and some companies have people whose full-time job is to monitor [read] mails to ensure that no one is sending company secrets to a competitor. And as for yahoo or gmail, on top of the ease with which accounts are hacked, anything can go wrong. And that's just one side of the trouble. Even if everything is secure and perfect at your end of the email communication link, what of the other guy? The recipient. Do you have control over who will be sitting at his PC the instant your email drops? Are you sure he'll notice the tag of confidentiality? And are you sure his email is not tapped? Bottomline: If you consider anything very confidential, use email as the last resort to communicate it. And call the recipient before sending it, to let him be aware of the incoming confidential mail. Nothing annoys people more than seeing an epistle when you expect a simple concise reply. And some people have made it a habit to send emails of not less than 500 words. Even if it's in reply to a YES or NO question. Please do not be like that. Emails are actually letters. When you send an email to your boss's boss, it's a formal letter. When you send an email to your closest colleague about when to go for lunch, it's an informal letter. And all the rules of letter writing apply -- besides the addressing, salutation and closing. Most especially the grammar rules. Use CAPS to begin a sentence, a proper noun and type out an acronym. Never use it to type out a full sentence. If you want to draw special attention to a statement, use bold. The only time color red should show in your email is if it's in the template of your company's official signature or in an image you included in the mail. 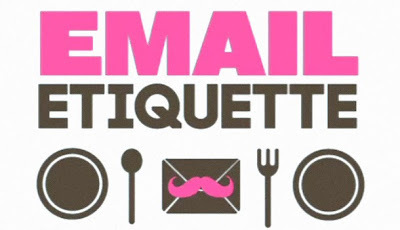 If you can't mail a printed version of your email because it will look too odd/rude/childish/unethical/stupid, then don't send it via email too. Edit it. Never use more than one exclamation mark. If you want to increase the impact, change the sentence and put in one or two great adjectives. Change -- My boss called from his office, "Michael!!!" to My boss screamed at the top of his voice, "Michael!" Use lots of empty lines. I always put an empty line after every few sentences. My paragraphs are short. It makes my mails extremely easy to read. 4. There are cc and bcc for a reason. Somehow, some people always manage to get the simplest things wrong. You want to send an email to Jide. You put every other person in the to field and put Jide in cc. I think I've seen this happen. Then the most annoying is when you send a happy birthday message to a colleague and you put almost everyone you have their email ids in the to field (say about 100 people). And throughout that day, I get over 60 emails of people replying to the birthday mail. For Christ's sake, use bcc! Put all the 100 recipients in bcc and put yourself in the to field. I would never forget the day one of the big guys in my former company was so annoyed he sent a mail to demand that he be removed from an email trail. The original mail was an escalation from a biz operations guy to a tech operations manager, copying a lot of people. Then the expected began. Everyone that replied used Reply All. And soon the mail trail was getting extremely long and filling people's inbox. Occasionally, I see people send sensitive information to people they shouldn't, because they used Reply All. I almost go mad every time I get a reply on an email trail and the content is completely different from what the original email trail was about. It makes me furious. Why not start a fresh mail trail? I understand that some people do this to increase the attention their email will get, and choose to hijack "hot" email trails. But it's completely wrong. It makes me have unpleasant thoughts about the sender. Even writing about it is putting me in anger mode. And those are the 7 I can remember now. Got any big one to share?